TuVidaFM live broadcasting from USA. 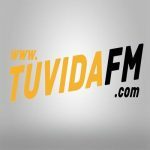 TuVidaFM station streaming music and programs both in air and online. Originally it is a 80’s, Top 40/Pop, 90’s radio channel plays around the clock 24 hours live online. It is one of the most famous online radio station on USA.